Hotel marketing trends may come and go, but it is important that your property is aware of the latest developments in the world of marketing, apps and social media. Your online branding and imagery are paramount when it comes to engaging potential guests – in our latest blog, we share how you can take your engagement to the next level. 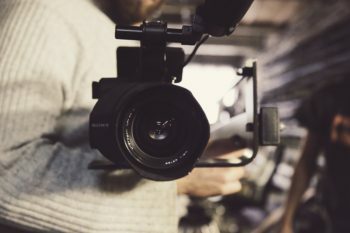 Keep reading to see how video content can benefit your business. According to research, 20% of consumers opt to read text whereas 80% will watch a video with the same content. These figures show that video as a medium is clearly more appealing to potential guests (and easier to consume) then overly wordy text. Considering these statistics alongside the portable nature of video, it’s evident that video tends to be underutilised by the hospitality industry. YouTube is the 2nd largest search engine in the world, so if you have already covered SEO and Google in your marketing efforts, it would be a shame to overlook what video content can bring to your business and marketing campaigns. Many platforms are becoming predominantly mobile first, and while this means you need to make sure your website is optimised correctly so that guests have the best experience, it also means that you can use various types of video to build your brand and attract new guests. A 30 or 90-second video hosted on a website that is both correctly optimised and created with user journey in mind will have maximum impact. You can use this video as an introduction; it’s the perfect way to tell your guests more about what you do and what you offer in a shorter timeframe. From 360-degree interactive content to individual tours of a bedroom suite, you can influence what your guests purchase by showcasing your property in the best possible light. It can also be an effective try-before-you-buy for potential guests as they can see exactly what they will receive should they stay with you. Consider showing your extensive grounds, your spa and other facilities – not forgetting that thanks to this medium you are able to serve them a main course from your restaurant without them having to leave the comfort of their home. Video can offer insight into your property – you could also conduct interviews with employees and customers or offer added value with behind the scenes first-looks. Always include a call to action – this message in your video will instruct guests what to do next. This could be to visit the website, call reception or simply book now. Technology is always evolving, and as a result how we consume adverts, marketing and social platforms changes too. Don’t let your marketing strategies become outdated. Here at Michels and Taylor our expert hotel management consultants are equipped with the latest data and insight to both advise and implement new marketing strategies for your property. To find out more about the latest hotel marketing trends or to see how specialist hotel management services can help your business, contact us today.